My spouse and I want a non-adversarial divorce and we are looking for an experienced Maryland divorce mediator to help us. Can you tell me how the process works, how long it takes and what the costs are? 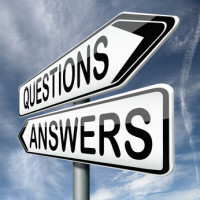 I answer these important questions and many others in the initial mediation consultation, where both spouses learn together about the mediation process in the context of their unique situation and concerns. The mediation consultation (sometimes called a “mediation orientation”) provides you and your spouse the opportunity to meet the mediator in person and learn about the mediation process in detail. The consultation should give you first-hand exposure to the mediator’s approach and should clearly describe how the divorce mediation process works, the time and costs involved, and the relevant legal, financial and parenting issues to address in a binding agreement. Make sure you ask questions and/or raise particular concerns you have. The mediation consultation is your opportunity to learn about the options for pursuing an uncontested divorce and whether divorce mediation and this mediator are a good fit for you. The bottom line is this: Does the mediator inspire confidence that he or she will give you the best opportunity to achieve an amicable divorce that works? A divorce needs to resolve three primary questions: how to divide assets and liabilities, how to meet the financial needs of the family going forward and, if the couple has children, how to share parenting responsibilities. Mediation may also address any number of issues relevant to making divorce workable, such as how to get separated, when to introduce new partners to children and planning for college. The mediator orchestrates the process for discussing and resolving these issues, while the parties are responsible for making the decisions. The mediator should be able to describe, in detail, the process he or she will use to guide the parties toward decision-making. A typical process might look like this: Following the initial consultation, the parties will gather their financial information in preparation for their first mediation session. The mediator will help parties identify where more information is needed and gain clarity about their current financial picture and future needs. This lays the foundation for developing options to meet the needs and interests of both parties and their children within the financial framework. Sometimes parties may consult with legal or financial advisors and/or other professionals as they consider proposals. With feasible options on the table, the mediation proceeds to negotiations, reality-checking agreements and, finally, drafting the Separation Agreement. Before signing the Separation Agreement, you’ll be encouraged to each have it reviewed by independent lawyers. Divorce mediation is a considerably less expensive and faster process than litigation and attorney-represented collaborative divorce. Most mediators charge an hourly rate for mediation sessions and time spent drafting and preparing for mediation sessions. Parties can minimize the cost and time involved by arriving to mediation sessions having completed “homework” assignments — often, obtaining information needed for productive discussion and decision-making. With these and other factors at play, managing expectations about the time and effort required to succeed is crucial. Staying with the process when it gets most difficult can be one of the biggest challenges. When parties have reached agreement on all issues, the Mediator will draft a Memorandum of Understanding or Marital Separation Agreement. It is also possible to establish a temporary agreement, which allows you to try out new arrangements during your separation (for example, a parenting schedule) and refine them before making long-term decisions. Perhaps the most important result of the divorce mediation process is not the Agreement nor even the time and money saved in the process — Many of my clients report that the most valuable aspect of the mediation process was gaining clarity, perspective and confidence in beginning a new and hopeful future. I am certified mediator and have been doing divorce mediation since 2004. Mediation is certainly less costly and less stressful.